Ronaldo’s possible Juventus shirt leaked! Juventus continue to be linked with Cristiano Ronaldo and the rumours will not go away, especially after a photo has surfaced of a black and white shirt with the player’s name on the back. 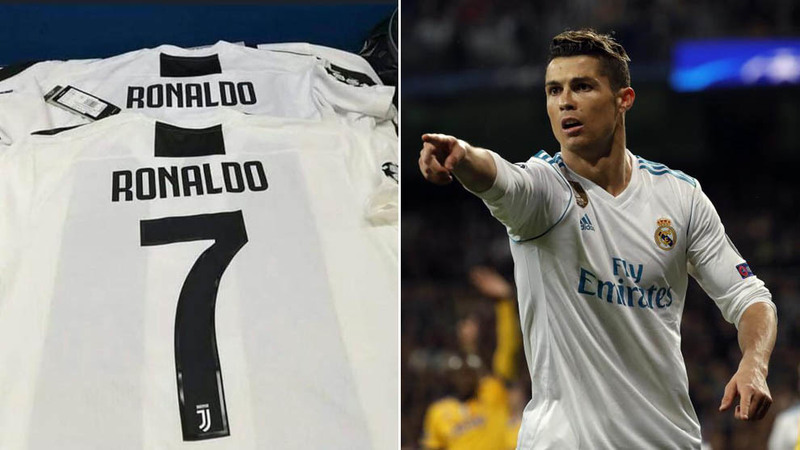 The photo shows a No.7 Juventus shirt, suggesting that Ronaldo would keep his famous number – worn last season by Juan Cuadrado – if he does move. Shared on social media, the photo quickly went viral, while some even claimed to have seen the shirt for sale in some stores.